TrekFriend is a Dynamic Itinerary Builder where you can create your perfect itinerary and reduce the hassle of travel plans. 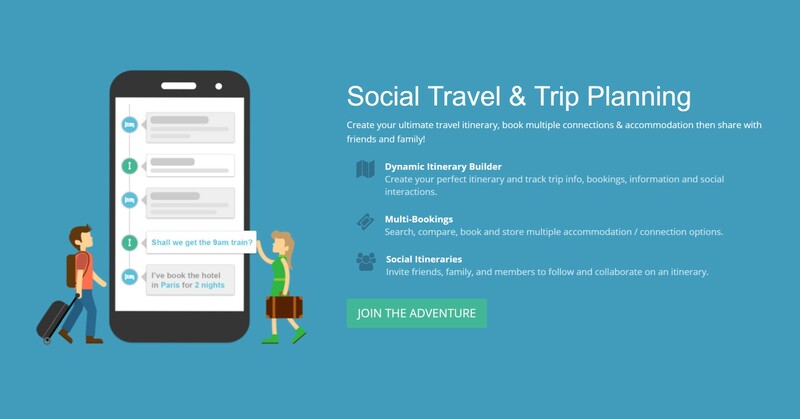 Make bookings, track trip info and, collaborate with travel companions. Create your perfect itinerary and track trip info, bookings, information and social interactions. *Multi-Bookings* - Search, compare, book and store multiple accommodation / connection options. *Social Itineraries* - Invite friends, family, and members to follow and collaborate on an itinerary.